See your vehicle via FREE Smartphone app. Pan European coverage in 36 Countries. Motion sensing alert - detects unauthorised movement. Tamper alert - activated when the system battery is disconnected or discharged or the wiring is cut. 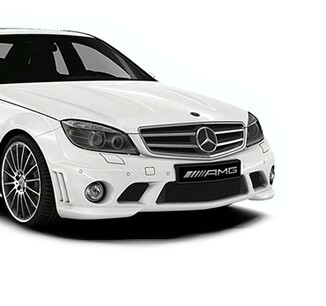 Tow-away alert - triggered when motion is detected with the ignition switched off. Health check every 30 days. Cars, caravans, motor homes, HGVs, plant and machinery and even boats. 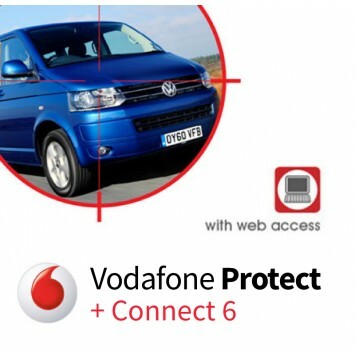 The Vodafone Protect + Connect 6 also comes fully-approved by Audi, Porsche, Seat, Renault, Mitsubishi, Ferrari, Maserati, Bentley, Lamborghini, Hummer, Bugatti, Alfa Romeo and Nissan. How car trackers work is impressive. Vodafone Protect + Connect 6 stolen vehicle trackers use sophisticated technology to track and pinpoint your vehicle in the event of theft. 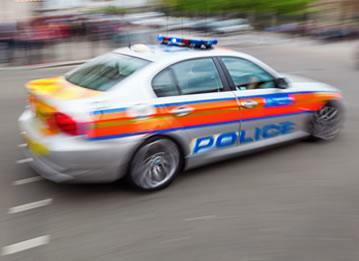 Monitored 24/7 by Vodafone's Secure Control Centre, the tracker utilises GPS technology to keep an eye on your vehicle while co-ordinating Level 1 police response. During a theft, Vodafone stolen vehicle tracking devices log a detailed history in order to facilitate recovery. These are just a few of the reasons why these innovative car trackers are recognised by major insurers. Why Choose a Vodafone Protect + Connect 6 Vehicle Tracking Device? If you're looking for a way to deter car thieves, Vodafone car trackers are one of the best. Not only can this GPS/GSM insurance-approved tracking system be transferred to new vehicles, but it comes with an international roaming SIM card: perfect if you're a regular traveller or simply want piece of mind when abroad. The Vodafone Protect + Connect 6 tracker is ideal for everything from cars and vans to boats and motorhomes. With motion sensing alerts, two-away alerts and tamper alerts, it is the ultimate in vehicle security. Your Vodafone Protect + Connect 6 includes nationwide installation at home or your workplace by a Vodafone-approved engineer. Yearly Subscription: £138 (includes FREE APP for vehicle location via Smartphone or Tablet). Any Questions about the Vodafone Protect + Connect 6? Fantastic Tracker! When I received my new Audi R8 naturally I couldn't wait to get going in it, but I needed to sort a tracker. I phoned Trackerfit and received good advice over the phone as I didn't have a clue about what to buy as I had never bought one before. I got it installed the next day so hat's off, I'm very happy!